Absinthe was first used as a way to prevent French soldiers from getting malaria during the French wars in the mid 1880s. It soon became the rage all over Paris where 5:00 PM was simply referred to as l’heure verte, the green hour. Absinthe is an anise-flavored spirit derived from a variety of botanicals, including wormwood, green anise, sweet fennel and some other medical herbs. Its active ingredient is often compared to the active ingredient of marijuana that produces mostly mild hallucinogenic effects. In 1915 the French military banned the use of absinthe all over France shortly after the start of so-called Great War (WW1). The last thing generals wanted were soldiers intoxicate on the magic ingredients of absinthe. It has been illegal to use or sell absinthe in France every since. The luckier French drinkers were those who live near the Spanish border where it has always been legal. Absinthe was one spirit where the effects were often greatly exaggerated which only added to its allure. Probably as a result of the effort to legalize marijuana use in the United States, France is now attempting to lift the prohibition on absinthe and make it legal once more. Absinthe is now a popular drink and comes in many varieties and over 200 brands of absinthe being produced in a dozen countries, most notably in France, Switzerland, Australia, Spain, and the Czech Republic. Everything you wanted to know about Absinthe plus more than you wanted to know about absinthe, including absinthe merchandize is available online here. 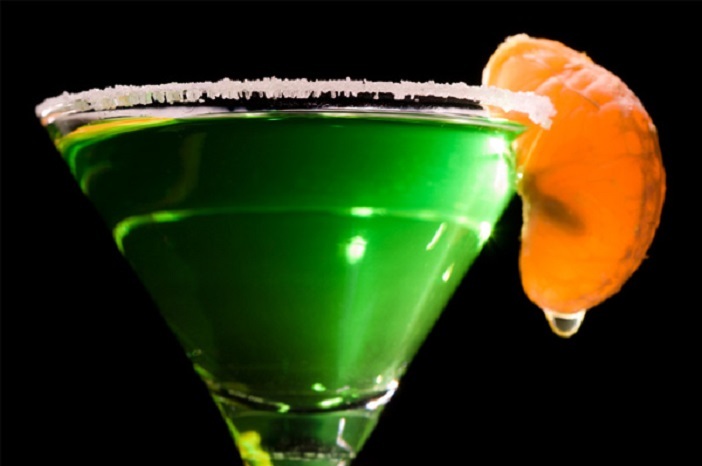 Like all good spirits, absinthe is now a popular ingredient in some cocktails. The drink under many different names, including Hemingway’s Absinthe, a ratio of 1:6 absinthe to champagne. And my favorite title, Absinthe Alibi. We could all use one of those. Recipes here. Next Article The Card Players. What’s Going On Here?